In November artist Yxng Bane released his mixtape ‘HBK’ followed up by a short film called ‘The Prequel’. The short film showcases a day in the life of five young men from Canning Town London. All the songs introduced in Prequel are from his ‘HBK’ mixtape. The short film is very relatable showing the daily life of young people growing up in London. The video is on YouTube so make sure to watch it. About three weeks ago Yxng Bane released a video for his fourth track on the mixtape called ‘Needed Time’ which is currently pushing numbers 1.5M+ views. The song has a Caribbean sound with different instruments becoming present in the song. The song has a massive resemblance to his song ‘Rihanna’ The video will be located down below. 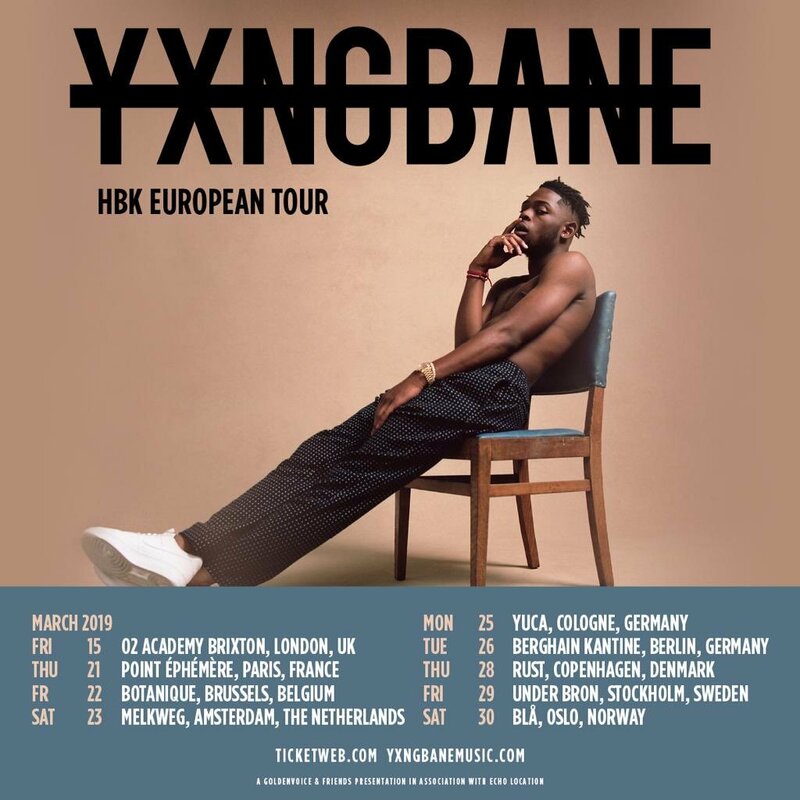 Mid-November Yxng Bane sold out his HBK tour and decided to take it to the next level by doing an all-around European tour. In London he will be performing at the O2 in Brixton. The tour will begin early March all through to the end of the month so make sure to get your tickets down below. We wish Yxng Bane more success in future projects and we can’t wait for more music and albums from him. Watch the music video down below and get tickets here.